Extend to new depths! The Mountain Mods U2-UFO extension kit allows you to convert your existing Mountain Mods U2-UFO to an extended version. The kit is compatible only with "Hyper Modular" versions of the U2-UFO chassis. The Kit includes a new bottom panel (24 inches in length), a set of new struts (24 inches in length) and 3 new side panels - all 24 inches in length. The increase of case depth from 18 to 24 inches increase floor space. 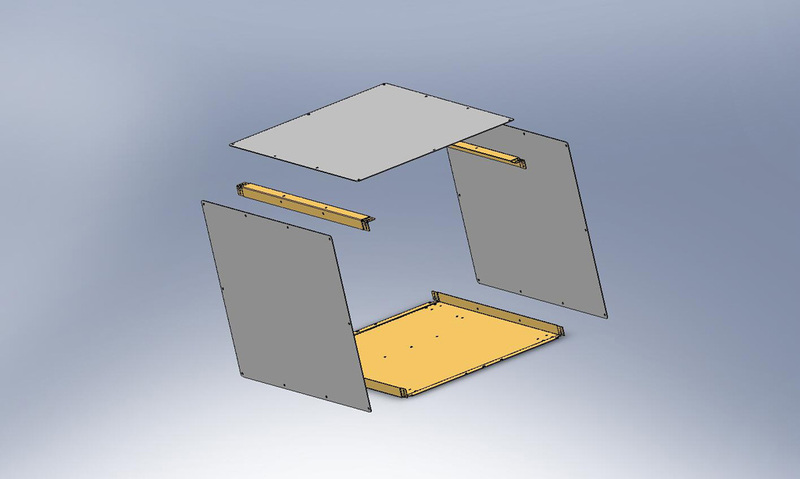 The additional space can be used for a wide variety of purposes such as water pump mounting, increased space for radiators with push/pull and shroud configurations, greater headway for installation of hard drives with Mountain Mods 120mm hard drive brackets, as well as the ability to use FULL EATX boards in conjunction with all front panels including Opti-1203 and Duality variations. Lastly the Extension kit will allow for the use of quad radiators via the top panel with the triple quad panel.